Description: Location, location, location! Wonderful open floor plan that backs to open space with gorgeous yard! 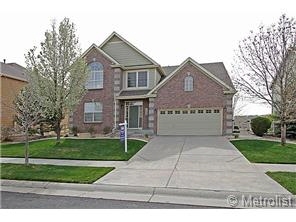 This fantastic home offers 3 bedrooms plus loft with large master suite and 5 piece master bath, formal dining room and living room, kitchen eating space, newer carpet in 2013, trex deck, and so much more. All appliances remain, washer & dryer included. Unfinished walk-out basement ready for your personal touch!